For limited time, Amantel is offering special, introductory call rate for Nigeria at 4.9 cents/minute to our new customers. 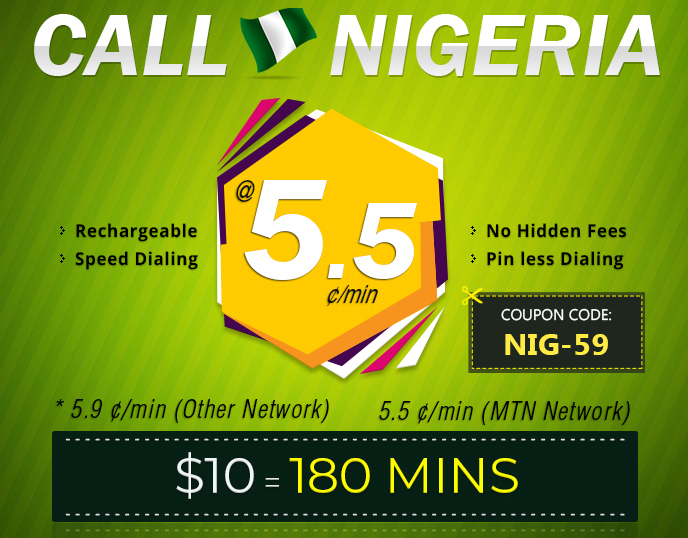 This rate is applicable to all calls originating from USA and Canada to Nigeria. If you are not registered with us and have not tried our services before, then we would like you to try our services at this low introductory rate. This offer is valid for limited time only and subject to cancellation at any time without any notice. These rate are valid for first recharge only, after that normal rate will apply. Click Here for normal rate. Use coupon code "N-220" to avail this offer. 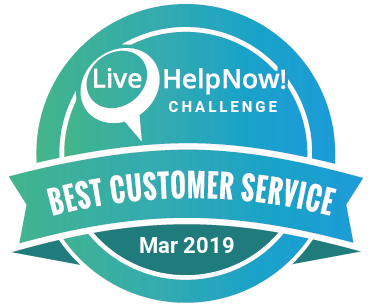 Call our customer service at 1-800-717-1510 for any questions. Simply pick up the phone and call anybody, anywhere, anytime in Nigeria. You can call from your home phone, your cell phone or any other phone. So hurry...Sign up NOW ! ! ( Click Here for local access number for your city). Who is eligible for the Special Offer? Only new members are eligible for Introductory Offer. Which Countries are eligible for Special Offer? This offer is valid for Nigeria only..
Is Special Offer good from USA or Canada? Special Offer is good from both USA and Canada. Can I make calls to other countries with Special offer? Yes! You will be able to make calls to other countries with this Special offer however calls made to countries will be charged as per regular amantel rates. Do I need any coupon code to avail the Special offer? Yes coupon code is required for this excellent offer. What is the call rounding available for this offer? There are one minutes rounding available for this offer.